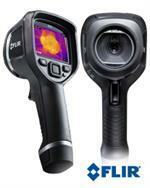 In strategic partnership with Infraspection we are pleased to offer the thermal imaging training classes. There are levels 1, 2 & 3 Thermography courses offered. Level I Thermography is a 32 hour online course for the application of qualitative thermal imaging for P/PM, Condition Assessment, Condition Monitoring, Quality Assurance, Forensic Investigations, and Building Sciences. Students are trained to identify and document thermal patterns caused by improper design, workmanship, or material failure. Specific applications include: electrical distribution systems, mechanical systems, steam systems, refractory systems, underground piping, active thermography, building envelopes, and flat roofs. Self directed learning activities are provided to help student gain practical experience; however, one need not have a camera to successfully complete the course. Course tuition includes 24 hour access to all online course presentations, Student Reference Manual, online quizzes, self-directed field assignments, proof of course completion, and free ground shipping of course materials to the continental US. Student must complete training within 60 days of registration. 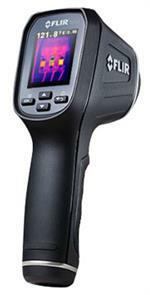 Course completion qualifies student to take the Infraspection Institute Certified Infrared Thermographer® exam. Exams are available at no charge at the end of regularly scheduled open enrollment classes or at our annual IR/INFO Conference. For a fee, exams may be taken via secure video link or at authorized testing centers. This course is eligible for 32 NETA Continuing Technical Development Credits (CTDs). NETA Certified Technicians (Level III and Level IV) are required to earn a minimum of 48 CTDs every three years to maintain their certification. Course is approved by the InterNational Association of Certified Home Inspectors for 32 hours of continuing education and meets the training requirements for their Infrared Certified professional designation and logo. Course is also approved for 32 Continuing Education Hours (CEH) by RCI, Inc.